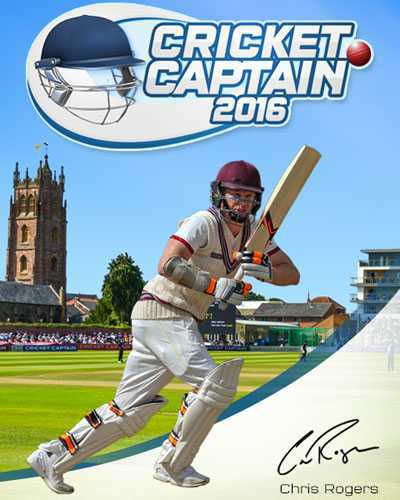 Cricket Captain 2016 is a Sports and Simulation game for PC published by KISS ltd in 2016. Are you ready to show your cricketing skills? New season of the most famous tournament of cricket has started. You should prepare yourself to manage everything perfectly on the playground. First of all, You need to do some training to know about the gameplay. If you’re a professional player, You can skip the tutorials. Then, You can create your own cricket team with real players. Cricket Captain 2016 includes hundreds of real cricket players. Remember that you can’t hire any of them without money! There will be some beginner players in your team in the first level of this game. The players have to train them to win some tournaments to earn money. When you got enough money by being champions of the tournaments, It will be possible to make lots of changes in the team. It’s good to know that Cricket Captain 2016 is fully based on the reality. Each player in your team should be trained as well to play perfectly in the matches. If you have gotten top players by money, They need to be prepared for the tournament too. If you have tried the previous version of this game, This new version will be much enjoyable for the fans of cricket sports. Cricket Captain 2016 is the biggest simulator of cricket games with a simple gameplay. Don’t miss the time for be the cricket champion again! 101 Comments ON " Cricket Captain 2016 Free Download "
bro it says program cant start bcoz vlruntime.dll is missing any solution?? i have download all the missing files. but still its not working. the last error i got is steam_api dll. i have copied that too but still not woring. help? not working, some steam file missing it says. Bro its not working.!!! after installation the first error is viruntime.dll is missing and if i fix it up. then there is 3,4 more similat errors. in the end its not working and get another error which i cant fix. help please.!!! I cant open the game. where is the crack files? it’s showing win32.exe problem i think the game need crack files to open can you give us the crack files? How will this game gonna work anonymous? Oxc0007b problem….downloaded .net framework, directx, redistrbuable c++ everything..but still not working…u never gave the setup..gave us the game…what man? so many askin for password it’s clearly stated above, you can’t read and are idiots! Hw to install the game? please give me the link to free download cricket captain 2016. Works perfectly fine on Windows 10! Just extract rar. And open the application. Very easy. is this just a demo? Can it run on windows xp ? anyone plz inform me and send the correct password on my whatsapp no. 7684857929 as soon as possible ! please.